It’s high time you gave yourself a healthy dose of self-love. The fact is, you deserve it. My 52-card deck features gorgeous illustrations by artist Lori Portka. Inside you’ll find gentle yet powerful reminders to help you care for and appreciate yourself at the deepest level. 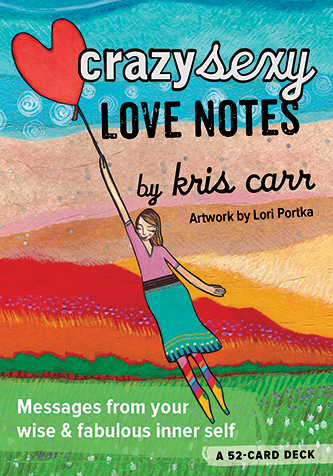 Let these love notes guide you back home when you lose your way, and remind you to choose love, nourish yourself, notice the blessings and so much more!